Friday, September 4 1908 -- The big Papke-Ketchel title bout is coming up Monday, but before then there's the regular Friday night bouts at Jeffries' Arena. 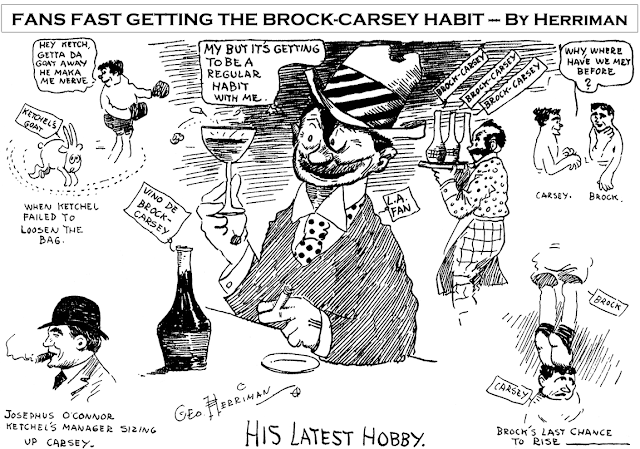 Frank Carsey going up against Phil Brock is the main event, a pair of lightweights who just faced off back in July. The result's the same in both cases -- Brock will win.